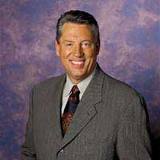 John Maxwell is well known in the church world and in the secular organizations. He is a trainer and motivator of leaders. As an author he has sold 13 million books. His training organizations have trained more than 5 million people. He left Skyline Wesleyan Church in San Diego to concentrate on training leaders. He has enough distance from his pastoral ministry to offer insights that would help younger, and even experienced pastors. Here is his reflection on what he would do differently if he had a chance to, fifteen years after he has left the pastorate. This extract comes from an interview done by Michael Duduit and was published in the Preaching magazine (Jul-Aug 2010). Question: You have been at this for a long time- you have been preaching since you were a young man and you continue to preach. What are some things you have learned about preaching, things you know now that you wish you had known when you started? Now that I’ve gotten away from it 15 years, I get more disillusioned with my work every year. I told Margaret, “I’m not sure I can live long enough here in this process. I just feel like I didn’t do a good job.” I wish now that I had done this differently. Just like I was talking about – I would talk to my people about how to share their faith. I didn’t teach them how to get respect in their business world. I didn’t know how to do that. I didn’t do nearly enough social stuff that really would get into their world – help people with hunger, clothing needs or whatever. I didn’t do that enough. Now I look back and think, “I could’ve done so much better in my teaching and communicating.” I just came from my perspective all the time. I never would do that again. If I was developing messages on a weekly basis, I would find un-churched people – hopefully uninterested people – and I would ask them to meet with me on a monthly basis. I’d bounce ideas off of them and see if I ever sparked their interest, see if I ever connected with them in any way. I would put a lot more of that teaching into my messages. One of the things I love now is that I don’t have to develop a message weekly, so I have more time to let it work in me. When I was younger, I wanted to do a great work for God, which I over-emphasized and under-emphasized God doing a great work in me. I see it now, my shallowness. I get disappointed. I thought, “Wow, If I had been more interested in God doing a great work in me, my messages would’ve been more transforming. They maybe would not have been applauded as greatly, because they maybe wouldn’t have been as well honed, but they sure would have been from the heart. They would’ve been out of brokenness and out of a journey I was taking.” I wish I had known that when I had that opportunity. Can a pastor learn anything from Singapore’s “most famous single woman”? Ms Sumiko Tan, 46, is a Straits Times editor. Her Sunday Times column, which began in July 1994, is famous and with it she has grown a mega fan base. Like a confession booth to which the public has access instead of a priest, she bares her soul and pours out the angst of a successful but lonely single career woman. The public always grants her absolution. The single woman identifies with her pain; the single man wants to rescue her from her emotional plight; the marrieds feel they have made the right choice in getting married and having children. “Let’s face it folks, Sumiko Tan’s column is Singapore’s favourite and most well-known real-life soap opera. Her musings on life, and especially on love, or the lack of it, have been well-documented in the Sunday Times. We all read her columns because she’s the only one who dares to bare her soul to the nation. Very few things in life resonate better with an audience than someone telling the world that she has not been able to find true love. Sumiko wasn’t afraid to tell Singapore about her inability to find a life partner and her immense regret that she may have missed the proverbial boat”. We need a little of this kind of transparency from our pulpits. Not every Sunday please. Just occasionally. Pastors do not share such personal disclosures because they feel it is unprofessional. Or they are plain afraid to let people know who they really are. They fear they will lose the trust of the congregation and therefore their ability to disciple them. The vulnerability and risks are too much for most to accept. Or their church culture does not allow it. They do not want to be misunderstood of navel-gazing. Or they subscribe to a teaching that frowns on confessions of weakness or negativity. The Bible gives a few examples when great men bared their souls without shame. It was said of Jesus at the garden of Gethsemane, “…he began to be sorrowful and troubled. Then he said to them, “My soul is overwhelmed with sorrow to the point of death. Stay here and keep watch with me.”(Matt 26:37,38). Paul the apostle bared his heart, “We were under great pressure, far beyond our ability to endure, so that we despaired even of life. Indeed, in our hearts we felt the sentence of death” and, “we were harassed at every turn – conflicts on the outside, fears within. But God, who comforts the downcast, comforted us…”(2 Cor 1:8,9; 7:5,6). They talked about overwhelming sorrow and pressure, the feeling of hopelessness, of fear and depression. They were secure and did not feel like they had to project success and victory all the time. We pastors should bare our souls every now and then about our journey. Our congregation needs to identify with us in our struggles and weaknesses, our journey of failure and not just victory. This will build solid bonds of intimacy and trust. It will also lubricate discipleship and spiritual formation. In addition, authenticity is what modern believers are searching for and they know instinctively that the “know it all” and “have sorted it all” kind of preacher are not real but fake projections. We need to own up. This is what pastors can learn from Sumiko Tan: allowing the church family to know us as we really are; and allowing them to accept and love us despite what is known. This is healing and wholeness for us and for the church. I read Dennis Bennett’s bestseller, “Nine O’Clock in the Morning” in the late 1970’s and enjoyed the story of the Episcopalian priest and how he encountered the Holy Spirit’s power in his conservative parish and got thrown out. He was one of the few men of faith instrumental in spreading the message of the baptism of the Holy Spirit to the mainline denominations, giving impetus to the growth of the charismatic renewal. Posted on 2nd April 2010 2nd April 2010 Categories Church in generalTags charismatic renewal, Church, Leadership, Pentecostal1 Comment on Charismatic renewal turns 50!